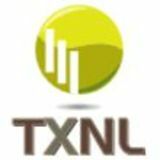 When you join TXNL you get your own professional profile page, blog and group space as well as a free e-zine and promotion opportunities. No spam, scams or inappropriate content ever, we promise. We are building a network of social entrepreneurs who are interested in social responsibility. The mission of Better Me, Inc. and TheNetworkLive is improving communities, businesses and lifestyles one solution at a time. Register now and join the community, our virtual door is always open. If you need help designing your social profile, creating an online business image, or just keeping up with all of your social networks let us know. We are here to help you succeed through social networking and Internet promotion.